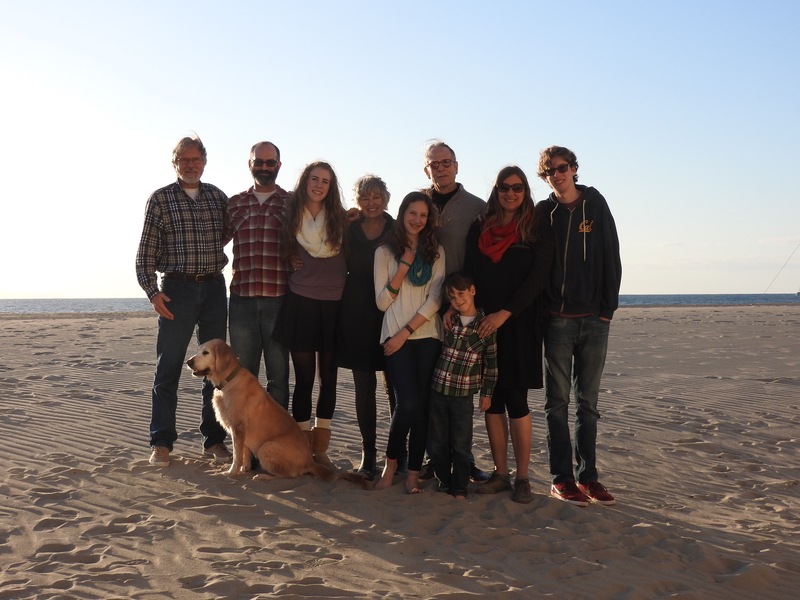 Celebrating American Thanksgiving at a lovely beach house rental, with Tish and family, and Wes’s dad. 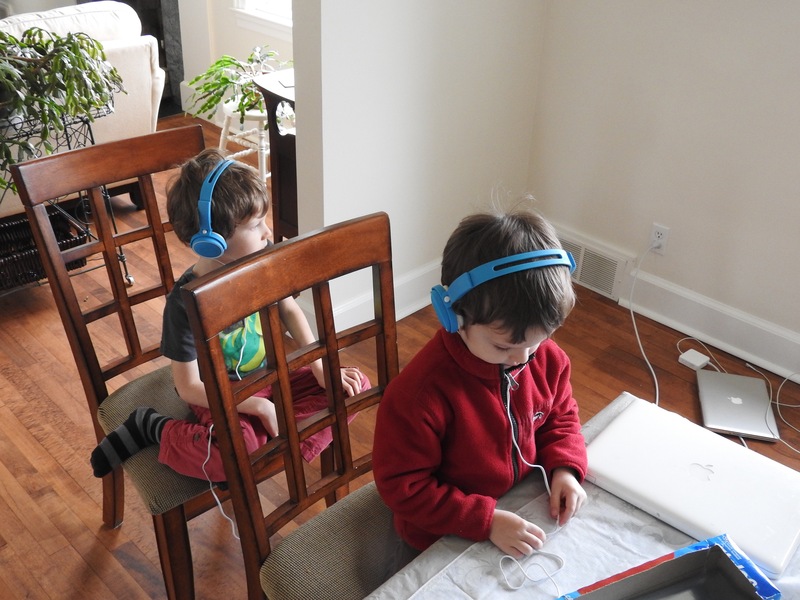 The boys practicing for the airplane. Forest has been thinking of his best friend today, whom he won’t see for so long. Made us sad for him, but then he gleefully told us that he’ll be spending Christmas on a beach! And then they’re gone! No time for weepy goodbyes..only 20 minutes till the flight leaves and security still awaits..Construction on the highway and then over weight bags…all conspired to eat up our goodbye hugs. Perhaps this was good for the boys, so they see it all as an adventure. “..and the beat goes on.” Now I can be weepy by myself. On Sunday, things seemed calm. 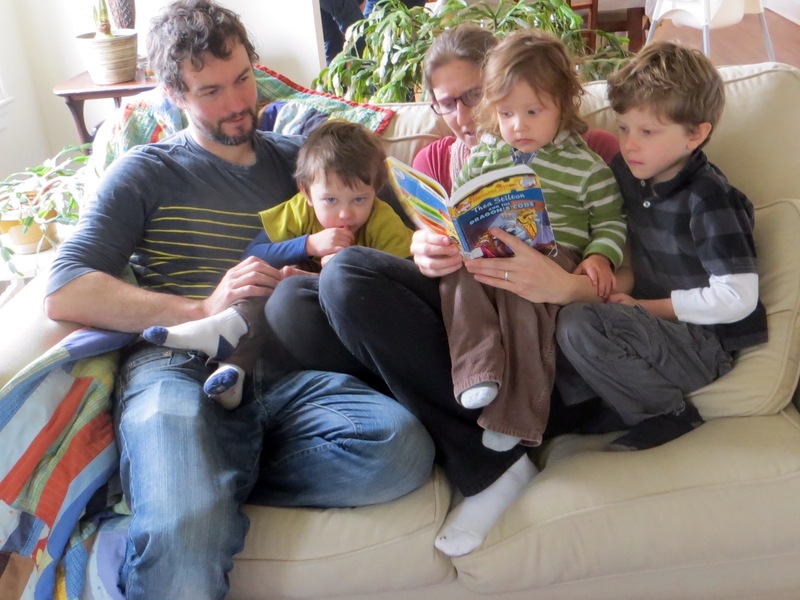 Noah was enjoying the company of his male cousins (Astrid was elsewhere engaged) and the attention of his aunt and uncle. 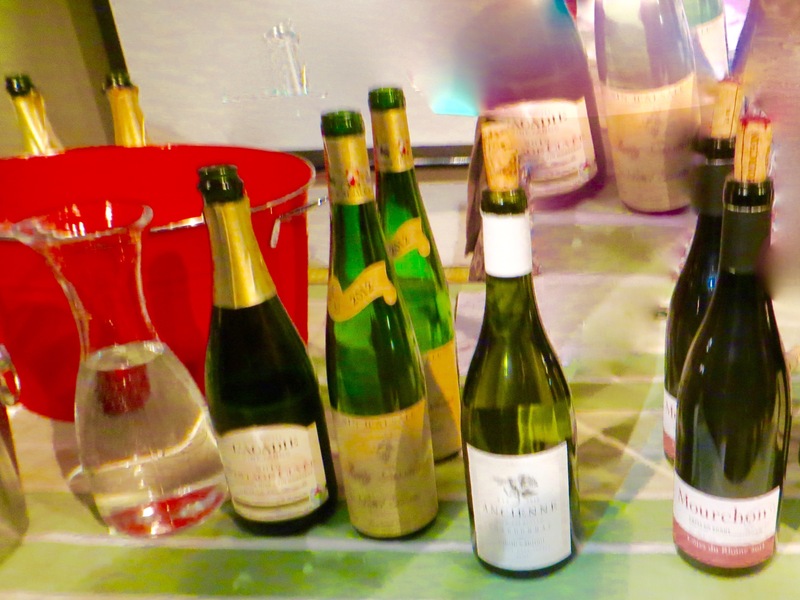 We were six adults and four children at lunchtime, and loved the noise and fun and “familyness” of it all. This is tonight. 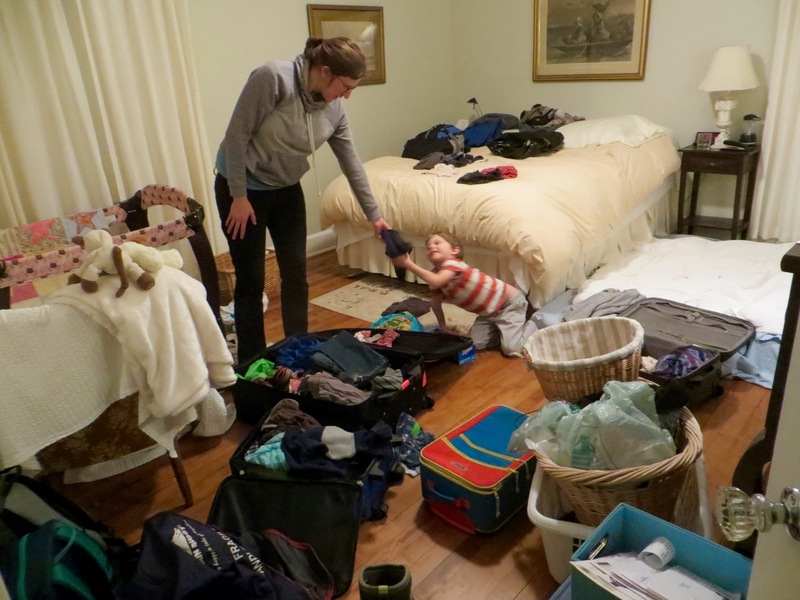 Forest is helping Jen pack for the family of five to start their trek to N.Z. tomorrow. 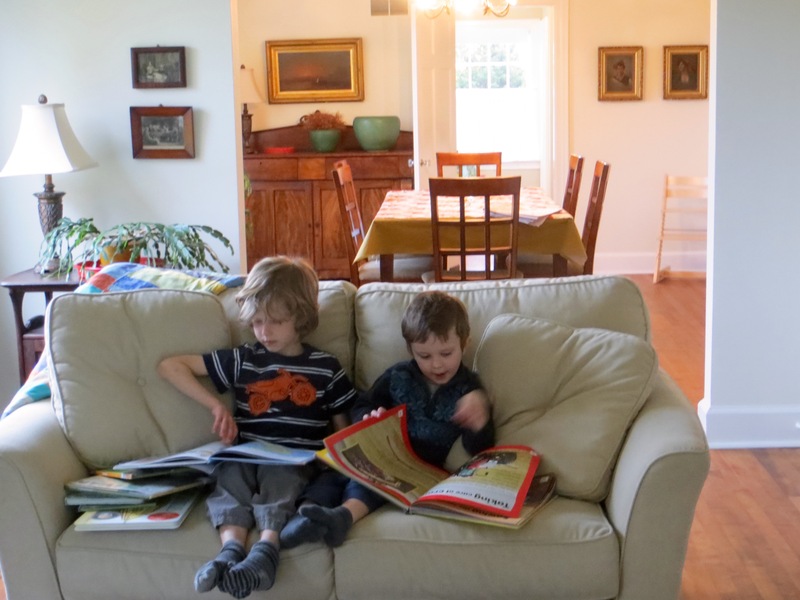 Some favourite toys and “‘homey” items will make the adjustment go a little smoother. Tomorrow night we’ll have the “master bedroom” in the rental back, and we’ll relax after all these hectic weeks, but we’ll find it all so sober and serious and silent. This “all or nothing” approach isn’t our preference. 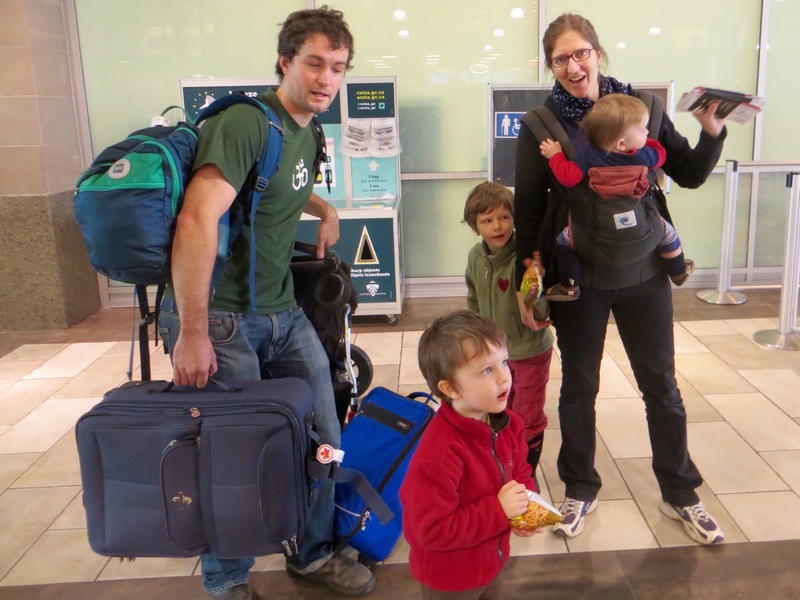 We would have preferred the family to stay in Wolfville, but understand the journey, for more education, and now that it’s about to happen, we’re rather excited for all of them!! But… when Drea, Jockel and Noah visit, there won’t be the cousins for Noah, nor the aunt and uncle. Our family out here will be smaller. Then there is the other “but”…”change is the only certainty”. Safe travels on the journey called life. 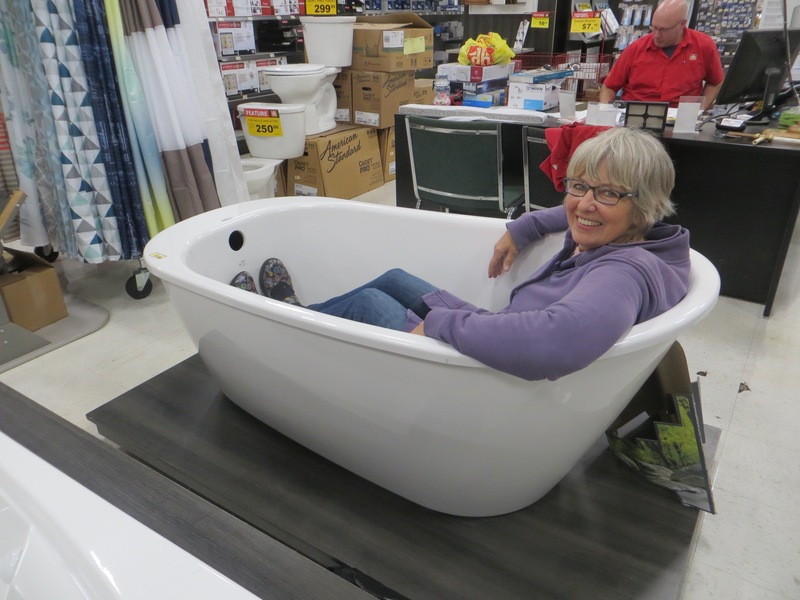 Trying out bathtubs at Home Hardware…how else do you know if the fit is right? 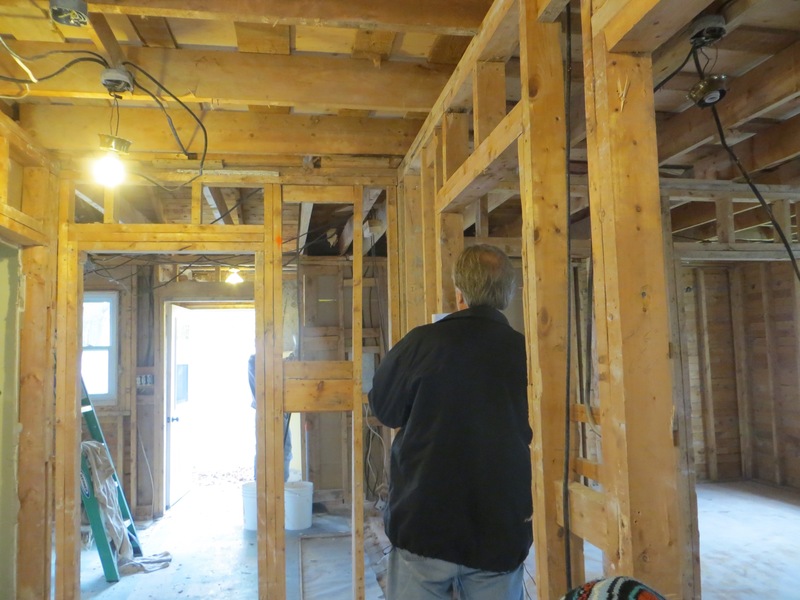 We need every appliance and fixture for our gutted house. Deja vu to 12 years ago…May as well enjoy the process. 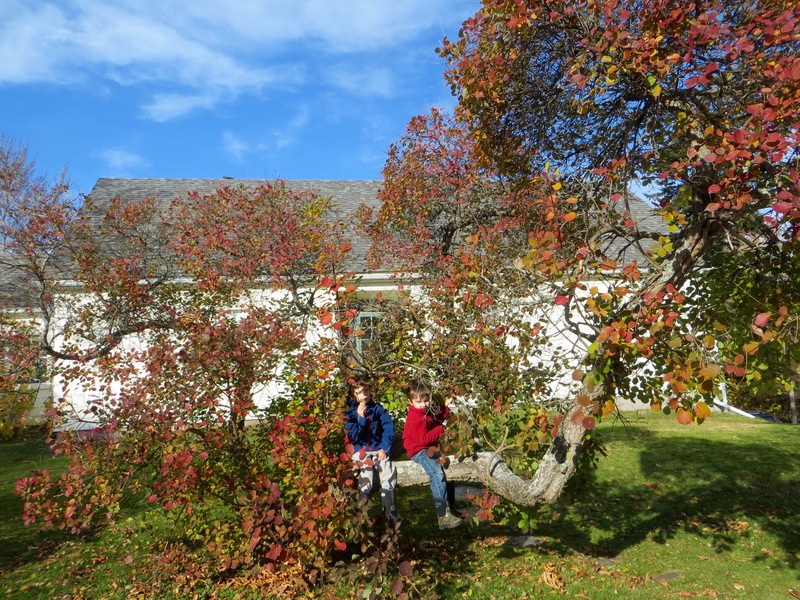 Another beautiful fall day…here the boys are having an apple snack in the Smoke Tree outside the rental house. Meanwhile, Jen and I spent the day indoors tackling their house as it changes hands so soon. I feel as though I’ve been moving for months now…but it’s sweet having all this N.Z. bound family staying with us since yesterday, to free their house up for packing, cleaning. Love this image. Frank and I alone in this rental would never have thought of using this tree in quite this manner! 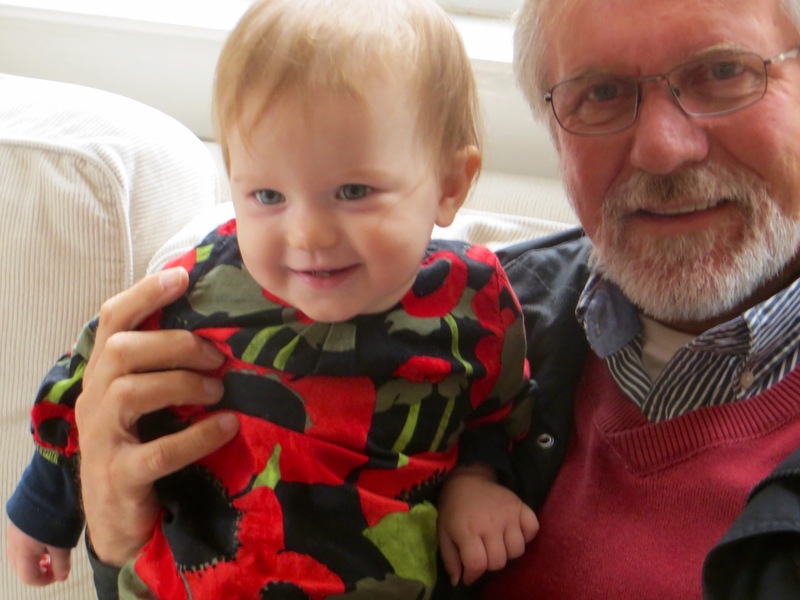 Astrid taking part in her first Remembrance Day. It’s amazing that “In Flanders Fields the poppies grow…” is 100 years old now, and still brings a chill to us upon hearing it each year. We have been so fortunate to have lived in peace all our (long) lives, and have watched our children and their children have the same experience. We have to be so grateful to those who make the choice to fight for us where needed. 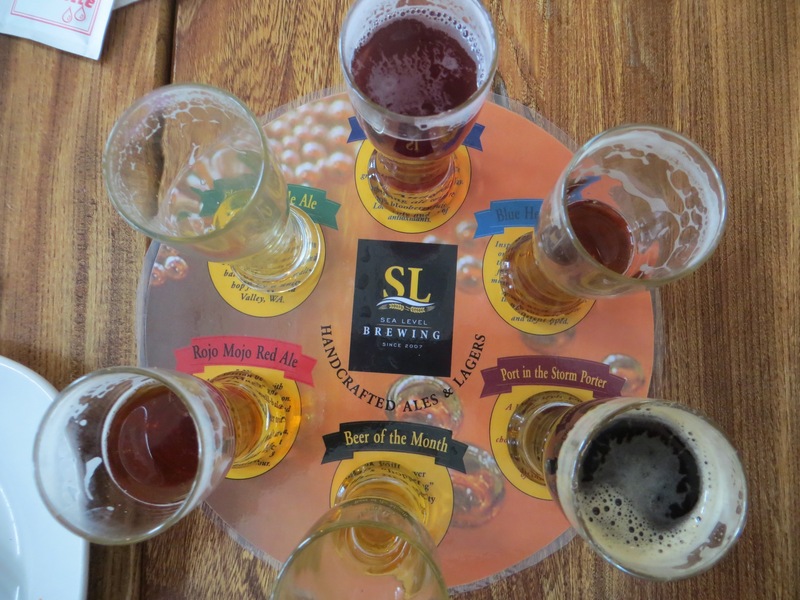 Beer tasting with Frank and Melissa..beer and food pairings…as part of the Devour weekend fun. 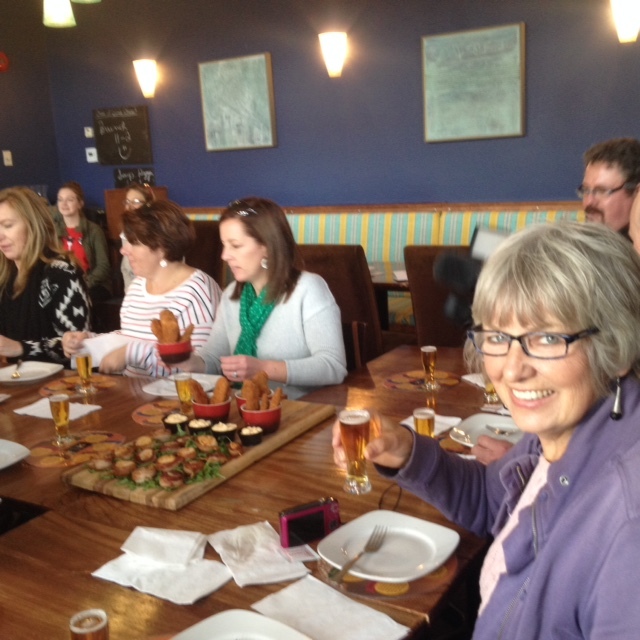 On the “beer bus”, even..
Leslie and Mary Lou came to visit to take part in some of the DEVOUR food film fest that is taking place in Wolfville. Once we got back to the rental, Leslie stretched out to relax. I couldn’t get over how her entire outfit matched the quilt which I had made for Forest years back. 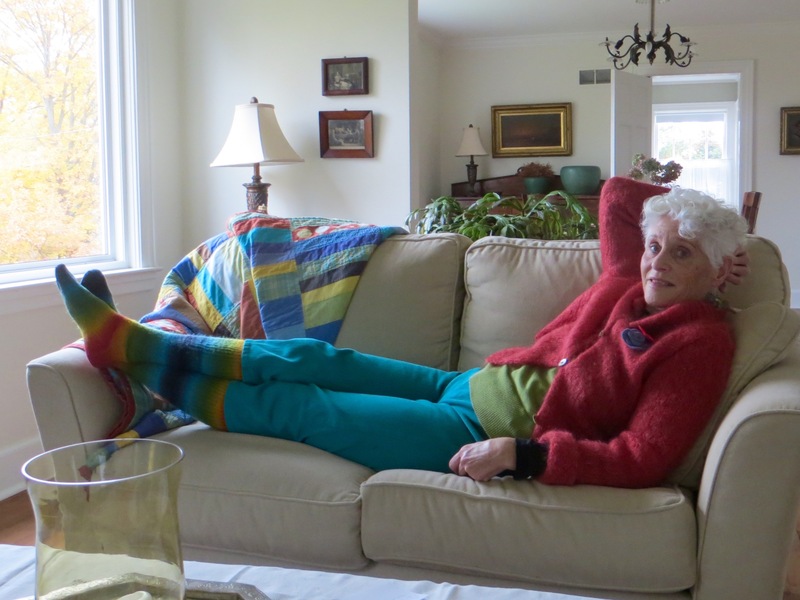 Leslie and I are all about colour…but for me it’s not in my clothing but more in my quilts and paintings. 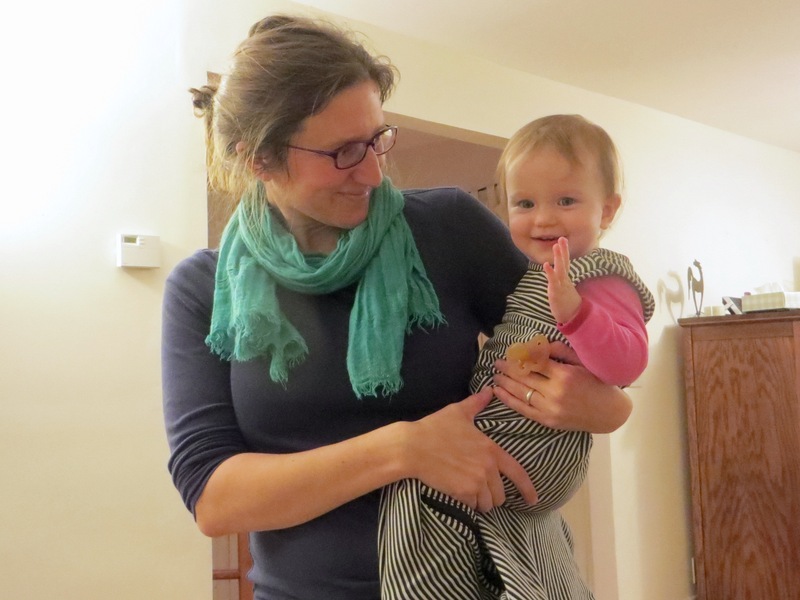 For Leslie, it’s definitely in her clothing, and her decorating…I love how we “melded” our colourist tendencies today. So…no plaster on the walls, and now none on the ceiling either…This has lead us to discover various things that have made it worth the “reveal”…and that can now be rectified. The entire first floor looks like this..even, as you can see, the exterior walls! So we are building a new home, once again! Who knew that when we bought this 70 old home? Or was Frank just itching to build again? He was, but it was more that some walls needed to be moved to allow for proper steps to my attic studio…and you know how that goes, like a snowball that becomes a snowman!